New poster on second and third harmonic generation in nanostructures. We studied SHG in two-dimensional crystals and THG in one dimensional nano-ribbons and nanotubes. This entry was posted in conferences, presentation, research on 04/12/2014 by attacc. 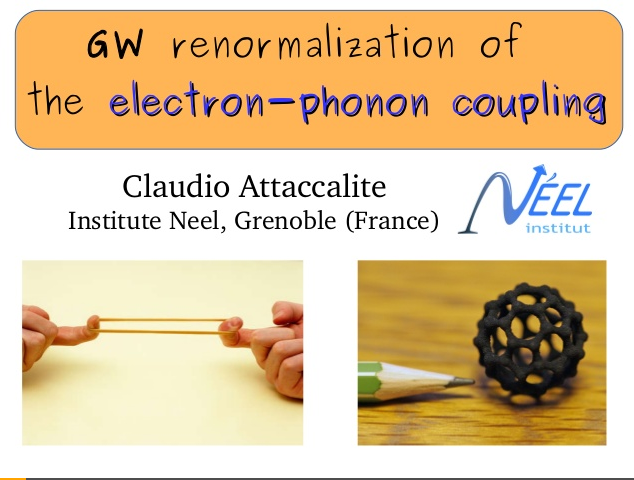 This entry was posted in conferences, electron-phonon coupling, presentation, research on 03/12/2014 by attacc.